How do you keep going after losing your best friend and production partner? Bingo Players' Maarten Hoogstraten is laughing quietly to himself. "At last," he says, shaking his head, "an interview where I don't get asked how we came up with the name Bingo Players." Damn it! Now you've got us interested. "What I really want to say is, 'I love playing bingo and I hang out at bingo halls every weekend.' The reality isn't so interesting. It's just a name… we saw it, we liked it, we kept it." 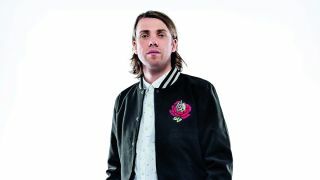 Although he regularly refers to Bingo Players as 'we', many will know that Hoogstraten is now the sole Player; sadly, he lost his best mate and long-term studio partner, Paul Bäumer, to cancer in 2013. The decision to continue was a difficult one, but Hoogstraten released a follow up to the huge hit (Get Up) Rattle - who can forget the video with the revenge-hungry mallards? - just a few weeks after Bäumer passed away. Co-written by multi-platinum, multi-award winner Sia - regular collaborator with the likes of Rihanna, Beyoncé, Guetta etc - Knock You Out gave Bingo Players a US Dance Chart Number One. "The lyrics [My fight is won. Who needs a gun? Boom-boom! Knock you out!] were written before Paul even knew he was ill," explains Hoogstraten, "but they seemed to capture the spirit of his fight over the previous year. In a way, it was his song!" Even today, it must be weird being in the studio without Paul. "For sure! I met Paul when I was maybe 13 or 14 and, ever since that day, we made music together. He was like a brother; in fact, I probably saw him more than I saw members of my own family. "You're there together in that small space, and you aren't just writing songs… you're sharing your lives. You eat together, you argue and have difficult discussions about a certain kick drum. You travel together when you're on tour and share some beautiful experiences. And then, that person is suddenly gone." In interviews, you said that Paul wanted you to carry on, but you've also admitted - and I'm sure every reader will understand this - that you didn't know if you'd be able to face going into the studio alone. "There were two chairs in front of the desk, but only one person. Who was going to give me the feedback? Who was going to tell me my idea was rubbish? I missed the vibe we had together; I missed the chemistry. "The first songs I worked on were songs that Paul and me had been putting together before he died. That was so tough, but I wanted to get a bit of Paul back with me in the studio." How did you two end up being mates all those years ago? "That was all down to computers. His little brother was at my school, and he asked me what I was interested in. I said, 'Well, I make music using my computer, a Sound Blaster soundcard and tracker software,' totally expecting him to think I was some kind of geek. Instead, he said, 'You gotta meet my brother. That's what he's into.' No one I knew was interested in this kind of stuff, but I went round to his house and there was this kid doing the same thing as me. Immediately, we were friends and started making songs together." "There were two chairs in front of the desk, but only one person. Who was going to give me the feedback? Who was going to tell me my idea was rubbish?" "Early rave music from the UK. We were lucky enough to get it on the radio in Holland… stuff like The Prodigy's Out Of Space. I must have been about nine or ten years old and had no interest in music at all, but then I heard these crazy drums and the speeded up vocals, and I was hooked. Certain types of electronic music - and I think this is still true today - are very appealing to a young kid's mind. They fire your imagination like a good science fiction film; they take you to another place. "I wanted to make music that sounded like that, but I had no idea how. These days, you go into any school and every kid has got a laptop… every kid knows about GarageBand or Logic. Back then, you had to really work hard to get your computer to make a noise." Any early demos still kicking around? "[Laughs] It would be great to have a listen. We eventually saved up to buy an Atari, Cubase and an Akai S1000 sampler, but the thing that really opened the door for us was Reason. Suddenly, I could have all these synths and reverbs on my computer, but I didn't have to spend £20,000. "Logic might be a totally different program, but there was something very 'logical' about Reason. If you had no real studio or programming experience, it was a great way to learn about making music. Everything was there in front of you - you flip the rack and there are the cables. It was like having the real thing. "The VST thing - or lack of it - was the only thing that made us switch to Logic. That was probably around 2006 or 2007." Are you still with Logic? MH: "No! We only managed a couple of years and then we said, 'This is just too buggy.' At first, we loved it. We had all these VSTs and we were completely inspired. In terms of what we became, Logic was definitely an important stepping stone for us, but the crashing and the unpredictability began to annoy us. "I'm not saying bad things about Logic because I know that millions of people use it, but the first time I saw Ableton, I just knew it was for us. It was the speed and the user-friendly automation that sold it to me. Sure, all programs have automation, but Ableton was so damn quick. A track that would take five or six days in Logic was only taking two or three in Ableton. "When you're relatively new to the world of production, you want something that allows you to keep working and building songs; you don't want to be held back by technical difficulties, because that will kill your enjoyment." Touch Me, the single you did with Chocolate Puma, was the track that finally got you noticed in 2008. Were you looking for a particular sound, or did it just… happen? "I suppose it was a bit of both. We'd definitely been influenced by bands like Daft Punk and the new electro house sound; Fedde le Grand's Put Your Hands Up 4 Detroit was the vibe we were looking for. But I guess you take those influences and you try to build them into something new. "We felt that we knew how to make a good song, because we'd been messing around for a long time, but the trick is finding your sound. By the time we released Touch Me, dance music was moving and progressing so quickly. The change from hardware to VST suddenly gave the world all these new styles; each week there seemed to be a fresh sound. "For us, that was a very important period - a time of learning and studying. 'OK, here's this new bassline; how did they do that?' We spent a lot of time learning how to get the best from synthesisers and how to program different rhythms; going really deep into production. What you're doing is actually investigating what's available and trying to find out what appeals to you - finding the place where you can start your journey as an artist. "Of course, as soon as we released Touch Me and people started to take notice, we thought that we'd found our sound, but we didn't realise that journey is never-ending. You're always learning, always looking for something new. And that's what's so great about software: it makes electronic music available to everybody. I often think about those two 14-year-old kids playing with trackers and wonder what we could have achieved if we'd been writing songs on Ableton or Reason." "We felt that we knew how to make a good song, but the trick is finding your sound." How does songwriting work for you? There's a strong melodic element to Bingo Players songs. Does the melody always come before the bass and the drums? "Maybe not 100%, but most of the time. I always seem to have an idea for chords and melodies before anything else. For me, a song has to be a 'song'; it's not an experiment in sound. "Knock You Out started out with the vocal line that Sia sent over to us. As soon as we heard it, we just thought, 'Wow, we can easily build something around this'. That song came so quick because we'd been given such a strong melodic starting point. "Unfortunately, we had to get the vocal re-recorded and…"
…Was that a contractual thing? "It's a long story. Too long. All I can say is that we loved Sia's vocal, but we had to find someone else to record it. Finding the right vocal took time. I guess that's the other side of the music business - sometimes, you can write a song in two days, but actually releasing that song can take a lot longer." Does having a 'hit' automatically put you under pressure? Is there a tendency to say, 'OK, I'm going to write another hit song'? "Having a big song certainly changes things. You don't make much money from record sales anymore, but it opens the door to bigger festivals and bigger collaborations. Having a big song got us onto the Coachella line-up, which is something we'd always dreamt about. "As an artist, if you have some momentum, you want to keep that momentum going. But if you start consciously thinking, 'I want another hit', you can almost guarantee that it won't happen. You cannot force success; it has to happen naturally. That was certainly the case for us… there was no pressure and no expectation. It just sort of happened." Your studio is based around Ableton, but you haven't ditched the hardware altogether. "I love the delays, the compressors and the EQ on Ableton, but I've never liked the reverbs. They don't sound like I want them to sound. Yes, there are great software reverbs out there, but I decided to treat myself to a Bricasti M7. I actually wanted an old Lexicon, but I was worried that I'd spend all my time getting it serviced and never being able to use it. The Bricasti is made by ex-Lexicon engineers. For me, it's an updated Lexicon, and easily the best reverb unit I've ever heard. "There's an Ensoniq DP/4, which I got specifically for the phaser - I read somewhere that it's the one that Daft Punk use. And I also tracked down another Daft Punk tool, the Digitech Talker, which is a sort of vocoder/talkbox pedal. Software can do most things, but I've never heard a plugin vocoder that sounds as good as the real thing." What about your synths? Are you mostly generating sounds in the box now? "There are a couple hardware synths that still have a place in the studio - the Juno 2 and the Access Virus TI, the one that every trance producer uses! - but the rest are software, played from a weighted M3 keyboard, because I like that 'real' piano feel. Reveal Sound's Spire is my new favourite. It's very popular at the moment, but there are some very cool sounds on there and it's super-tweakable. "Actually, I'll change my mind. My favourite is definitely Xfer's Serum. It's still a bit buggy, but that thing sounds so fat. As soon as you flick through the presets, you know it's a special synth. Some people are a bit snobby about presets, but for me, it's a good indicator of what a synth is capable of. Presets are a starting point: 'That sounds OK, but let's tweak it and see what happens.' That's always been my problem with Nexus2 - I need to tweak! "Basslines mostly come from Spectrasonics' Omnisphere - you can always find some pretty realistic analogue sounds - with occasional help from Massive, of course. But if I'm going down the disco road, I get my slap bass from Trilian." Does most of your mastering get done in Ableton Live? "Multiband Dynamics… A big yes! The rest is handled by Ozone 6, but I try not to go too crazy on the mastering chain. Things like the stereo imager are very powerful, but you can mess up the whole sound of a song. Just a little bit is enough for me. "That's where I really miss Paul. When there are two of you, there's immediate feedback. 'Is this OK, or is this totally over the top?' He was very good at knowing what was right for a song. I would start heading down a certain road and he would say, 'No, that doesn't work'. We'd argue for a while, then we'd try it Paul's way, and I'd realise he was right. I still try to do that; I still think, 'What would Paul say about those drums? That bassline?' Some days, I can still hear him… he's still there with me in the studio. "When you lose somebody like that, it changes your perspective on everything. Not just in the studio, but in life. Sometimes, I catch myself moaning and getting stressed about silly things and I say, 'C'mon, this is crazy. Relax. Stop complaining about things that really don't matter'. All you can do is love your family, love your friends and be grateful for the life you have." The new Bingo Players single, Curiosity, is out now on Hysteria Records.